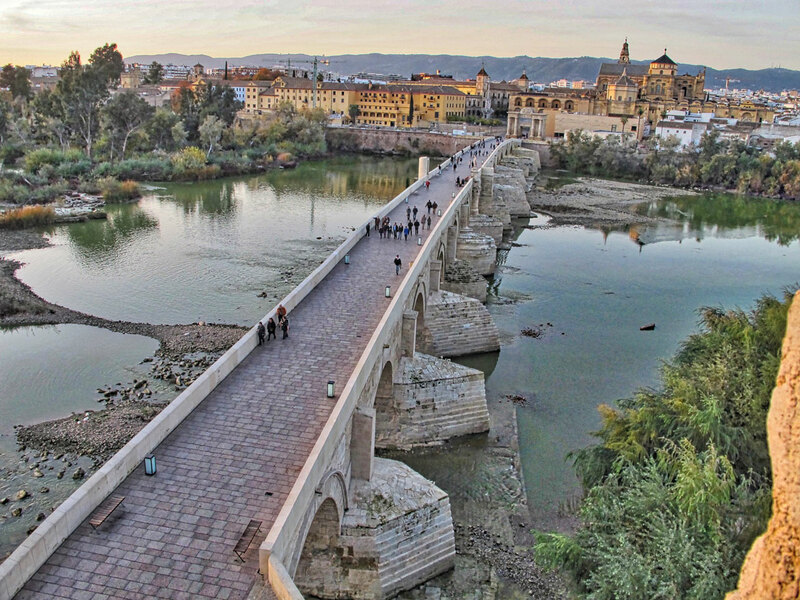 Cordoba is a city with an impressive cultural and monumental patrimony. Its strategic position, near the River Guadalquivir, which was formerly navigable, and the legacy of the different peoples who settled on its rich farming lands meant that Cordoba was always considered a privileged place. The UNESCO (The United Nations Educational, Scientific and Cultural Organisation) recognised in 1994 the universal importance of Cordoba’s historic legacy, and extended the title of World Heritage Site not only to the Mosque-Cathedral, but also to all the streets and buildings around it. In addition, in 2012, Cordoba was awarded a further accolade: The Festival of the Patios (Courtyards) was added to the list of Intangible Cultural Heritage of Humanity sites. Finally, in May 2018, Medina Azahara was also recognised with the title of World Heritage Site. Therefore, Cordoba now holds 4 inscriptions in the World Heritage List granted by the UNESCO: the Mosque-Cathedral (1984), the historical quarter surrounding it (1994) the Festival of the Patios (Courtyards) (2012) and Medina Azahara (2018). In addition, with the rest of Spain, it shares the titles of the Intangible Cultural Heritage of Humanity awarded to Flamenco (2010) and the Mediterranean Diet (2013). The World Heritage Site award aims to help protect, identify and conserve elements of our cultural or natural inheritance which are considered particularly valuable. Holding the title involves a set of rights and obligations, which this city has justly deserved. The UNESCO defines the word Heritage as "the legacy we receive from the past, in which we live in the present and which we hand on to the future". The political and cultural leaders in Cordoba, as well as each and every citizen, have been entrusted with the task of keeping watch over, conserving, protecting and encouraging interest in our History, so that we ourselves, as well as other peoples and cultures, can learn more about it and feel enriched by it.